Although TVB’s harsh working conditions, long work hours, and low pay is an unspoken understanding, things seemed to have gotten worse in recent years. 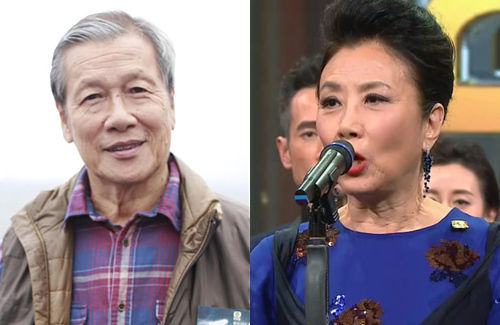 The culture at TVB has driven away many talented artistes and also disheartened seasoned artistes Liza Wang (汪明荃) and Lau Kong (劉江), who spoke up against the station’s poor working conditions. What better place was there to air any discontent than during the live broadcast of the 50th TVB Anniversary Awards? During the awards ceremony, Liza took the opportunity to voice her discontent on behalf of all her fellow coworkers. She candidly stated, “If the company can increase our salary just a little more, increase our rest time just a little more, care about the artistes just a little more, and decrease the habit of having cliques a little bit, then I’m sure we can retain more talent. Our morale would increase exponentially. We can proudly say that we came from TVB!” Her brazen speech was met with much applause from the attending TVB artistes. Unfortunately, as long as TVB remains as a monopoly they may not bat an eye. If they do change slowly, then it would be beneficial for sure. @kirigiri It really is a monopoly…HKTV had potential to be a competitor and rival TVB, but for some reason could not get a broadcast license. Kudos to Lisa and Lau Kong for speaking up, but unfortunately, nothing’s going to change because it’s TVB and they are forever of the mindset that they can and will do whatever the hell they want because they control the industry. Besides, old habits die hard – like Lau Kong said, TVB has been working their artists to death with low pay and little rest even since his generation (and yes, I can attest to this, having followed TVB for several decades – the difference is that back then, under Run Run Shaw’s leadership, TVB was more united and actually felt like family, so artists were more willing to “lay down their lives” for the company….nowadays, you’ll be hardpressed to find anyone still willing to make such a sacrifice for TVB). Unless TVB makes a conscious decision to improve the conditions (which they won’t), things are just going to get worse – right now, TVB is lucky to still have a large group of veterans who still put up with them mostly out of loyalty (this includes the artists who left and are no longer under contract but return occasionally to film for them), but that’s not going to be the case forever. There are more and more options for artists nowadays (the opportunities are not just limited to TVB as in previous years), both in HK and outside of it, so if TVB is still unwilling to set aside their antiquated thought process and “policies” and change for the better, they only have themselves to blame when the sh*t finally does hit the fan (which could happen sooner rather than later at the rate things have been going…). I wonder what makes Liza changed of heart and went off on TVB? I agree it’s a good thing that she did and I’m totally on board that TVB needs to treat their workers (not just the actors/actresses) better, but she hasn’t done it before and has been very supportive of TVB. So what happened? @jjwong Maybe they are trying to convince TVB to have better working conditions to instil more loyalty so that the younger ones will stay on in HK? @jjwong she must have been losing power at tvb. money and power changes people, reducing money and power will turn people against you as well. @jjwong I think it’s more a matter of things have gotten so bad at TVB that Liza HAS TO say something in order to not lose face. Anyone who has a brain can see that TVB has issues, yet TVB management has continued to stick their heads in the sand and pretend that nothing is wrong (and those who are contracted to them or rely on them have to go along with it — Liza is one of the few who doesn’t have to go along with it if she doesn’t want to). To be real honest though, Liza is technically “late to the party” already, as both Eric Tsang and Dodo Cheng had already spoken up about similar issues before (and they are the 2 top tier veterans at TVB aside from Liza). And I actually agree with Liza’s husband Law Kar Ying in that Liza wasn’t severe enough – it honestly came across like she was half-joking, which means TVB won’t take it seriously (or it could be that TVB doesn’t care anymore and will only hear what they want to hear because after the ceremony when all the artists were still standing there on the stage, TVB’s management actually gave a few speeches and I believe it was Virginia Lok who actually quoted from Liza’s speech, but ignored everything except for the “we are proud to be TVB employees” part, lol). As a long time viewer of TVB, I have always heard about their harsh conditions, low pay, etc… for decades ever since I was a kid. My family always talked about how bad and cheap TVB was and felt bad for them. Kudos to Liza, her husband and Lau Kong for speaking up. Even though changes may not happen overnight, but at least they are allowing their voices to be heard. I am deeply disappointed in TVB and feel bad for all of the artists. Luckily the more well known artists now have better options instead of sticking to slave driving TVB. I agree with what Lisa says but I feel it is more suitable for those supporting casts and crew members rather than overpaid first line actors who can earn comfortable side income doing ads. If more money is paid to these actors for each episode, imagine how much less for those lower in the food chain. As for overworked, very true. But again if an actor has only 3 hours of sleep or less and is booked for an event on same day, the actor should consider health or wealth first. My point is pity the lower in the food chain.